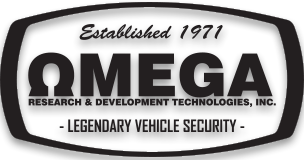 Omega Research & Development Technologies, Inc. is now shipping the new SM-DVR-901E Driving "HD" Video Recorder. This small recorder mounts on the windshield of the vehicle, usually in front of, or near, the rear view mirror. This system features a 150 degree wide angle camera with a 6 layer glass lens for clarity. A built in 2.4'' TFT monitor is there for instant playback of any recorded incident. The video can be recorded in selectable 1080p or 720p resolutions with or without audio.